Thank God for the person that started the voucher-selling websites. Because it is brilliant. And so useful for a foodie like me. Up to 50% discount to get awesome packages at restaurants? 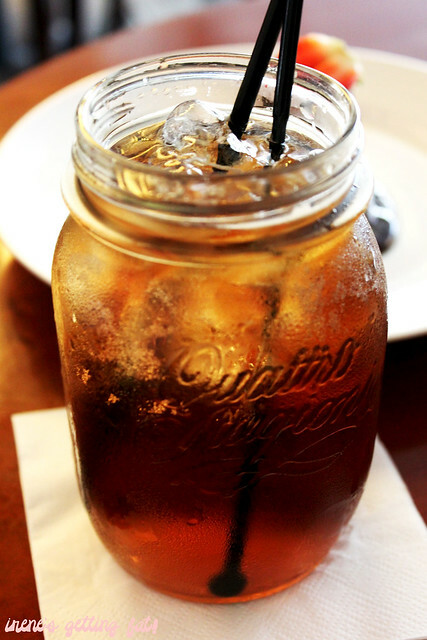 Oh yes please. Well, I don't buy vouchers often though. When I do, I make sure that the place is reachable. 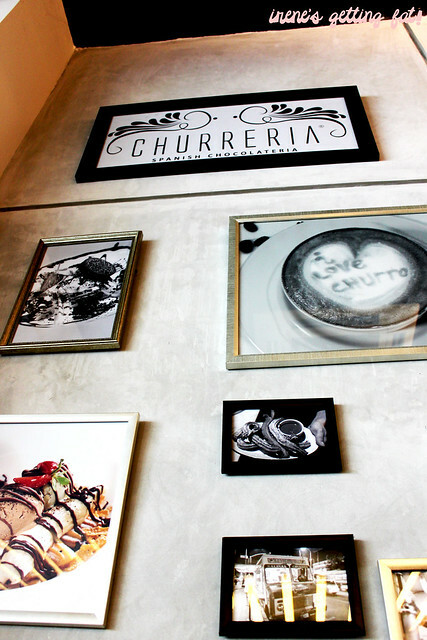 So I was craving some chocolate dessert, and the boy loves donut but had never tried churros, so I bought the Churreria voucher. It was only accepted at the branch at Central Park Mall, so there we went. 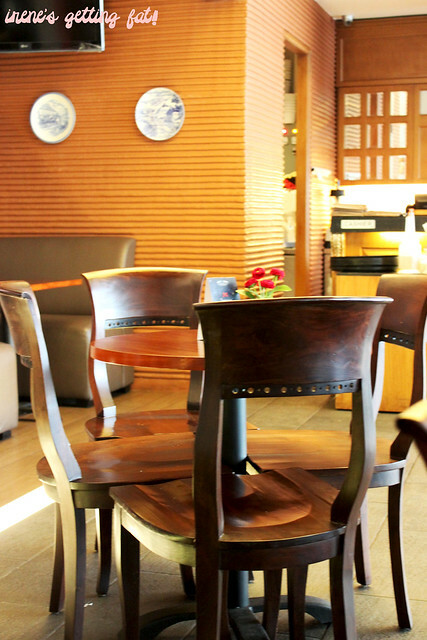 Like the other branch that I have visited, the interior of the cafe has an elegant and some vintage touches. The simple wooden tables and chairs are provided for small groups of four, but there are sofas on the corner to provide more seating. Frames of picture are appealingly arranged on the wall, vary from old-looking black and white pictures to modern and colourful ones. They also have outdoor seating that faces the Tribeca area of Central Park Mall, where the fireworks and other awesome celebrations are done. 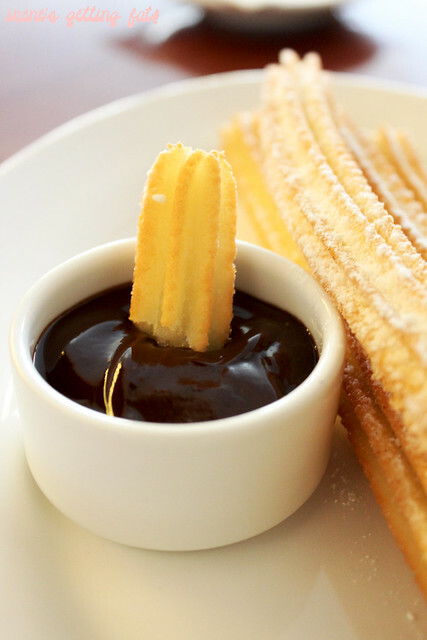 I have tried the churros from the chocolateria before, but still curious about their other desserts. 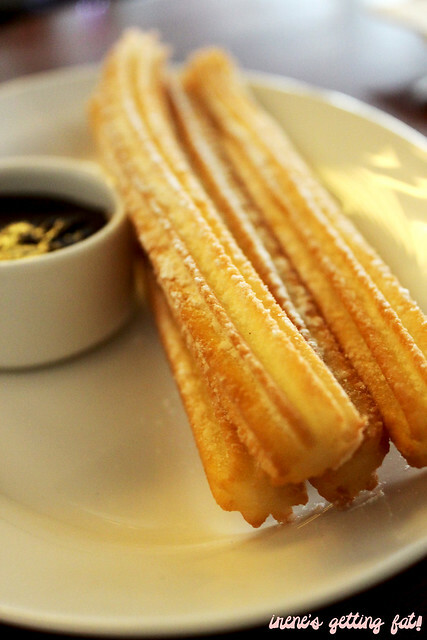 And most fortunately, the voucher covered a classic churros set and a dessert. Drinks are to paid for, and I went for blackcurrant iced tea and Roo chose iced cappuccino. Both taste mediocre, and while I am enjoying my sour iced tea, Roo complained about how his cappuccino tastes exactly like sachet cappuccino. The long Spanish donuts arrived warm, almost hot, obvious that they are served fresh from the fryer. Churros classic consists of four churros and one dipping sauce, and I asked for the awesome dark chocolate sauce and icing sugar for the sprinkle. Crunchy outside and fluffy inside, such a perfect snack for our afternoon. 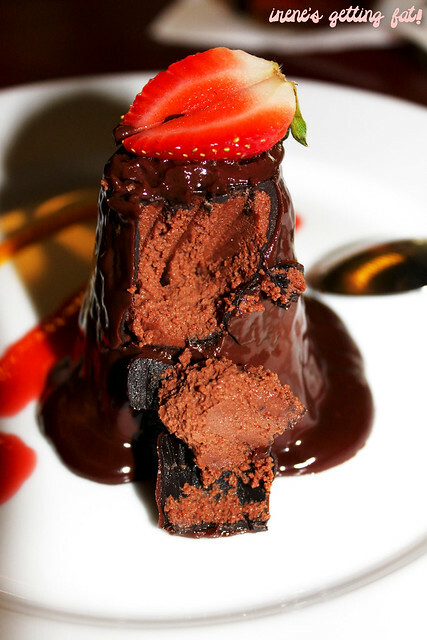 For me, the hero is the dark chocolate sauce, as it is so delicious and has the perfect level of sweetness. I am also so glad that the boy enjoys the donuts very much. There were only three options of desserts that are offered, the passion fruit creme brulee, something chocolate, and apple cinnamon crumble. Since the boy didn't fancy the other two, we opted for something chocolate. It is praline based chocolate mousse, served with mango and berry coulis. I discovered that there are three layers that compile the mini hill of chocolate, which are chocolate ganache, frozen dark chocolate, and smooth chocolate mousse. It is also completed by two long puddles of berry and mango coulis. Very chocolatey is the perfect words to explain this dessert. 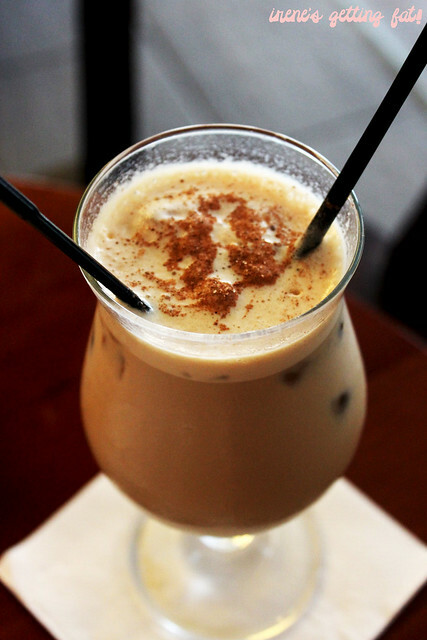 It's rich chocolate through and through, in three different forms. 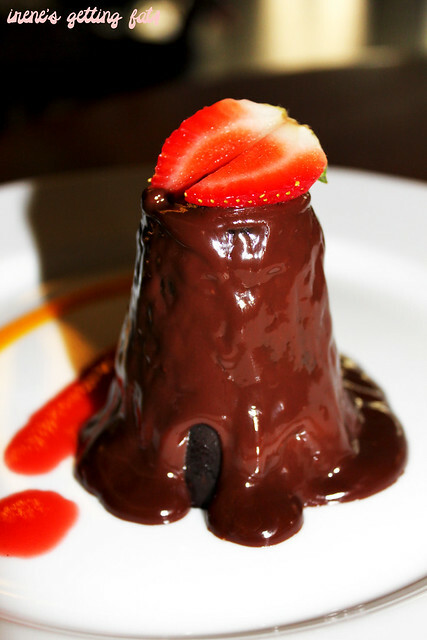 The mousse is velvety smooth and melts immediately by intact with the tongue, so rich and surprisingly not too sweet. The frozen dark chocolate layer adds more bitterness yet does not overwhelm the other components. The ganache is super rich, and from the two coulis, my favourite is the berry. There is no problem with the mango, but I love the sourer one. In any way, I think this is a dessert to be shared. Something chocolate? 'Everything chocolate' suits the dessert more, I say. Now, shall we find another voucher deals? Heck yeah. Great, hot churros, helpful service, good ambiance, price a bit off putting.